The critical trope regarding David Bowie is that he’s a shape-shifter, anticipating and pioneering musical trends throughout his career, with few concessions made to what he’s done before. Whether he be in the guise of folkie-hippie, androgynous glam-rocker, soulful crooner or avant-garde mad scientist, he’s always had an edge over a lot of his contemporaries in knowing just what styles to mine and experiment with, helping to his popular and critical clout for the early, most prolific part of his career. But in the 10 years since Bowie’s last record, 2003’s Reality, a lot’s happened, not just in the world but to the music industry. Since then, the Internet’s become a major force in music distribution, and with the advent of instantly self-released albums, file-sharing and rapid-fire blogging, it can be difficult to know exactly which buzzes to pay attention to and what’s here to stay, even if you have your finger on the pulse. To this end and to his credit, Bowie doesn’t try too hard to engage with the present on The Next Day; in fact, the album often sounds utterly divorced from modern trends. As the cover, a jarring modification of Heroes‘ artwork, indicates, he’s looking to his own past for inspiration in hopes of finding something fresh to work with. It sounds like a tall order, but the degree to which it succeeds is what makes The Next Day Bowie’s best album in about 30 years. Tony Visconti’s updated production and a few stylistic quirks aside, there’s nothing here that couldn’t have been released during Bowie’s ’70s heyday (and not just because all the German landmarks he name-checks on the lovely, yearning “Where Are We Now?” recall his Berlin era). The record is rife with the sort of theatrical pop, sweeping balladry and driving dance-rock—the title track feels like a streamlined take on Heroes‘ wicked “Beauty And The Beast”—that often characterizes his work. Yet, as retrogressive as this album can be, this isn’t “music legend with his edges sanded off” the way so many late-period, comeback records are. There’s familiarity here, but his approach sounds anything but dated. If anything, Bowie’s sensibility sounds right at home in the early 2010s, perhaps because his penchant for dramatic, over-the-top productions fits with the current crop of artists inspired by him in the first place. Plus, of course, it helps that he’s written a fine, eclectic and surprisingly consistent set of songs. The breakbeat drums and ripping riffs that power “If You Can See Me” give it a jumping, nervous kick; the neo-psychedelic “I’d Rather Be High,” “How Does The Grass Grow?” and the decidedly melancholic “Dancing Out In Space” are delightfully off-kilter pop; the soaring, gospel-tinged “You Feel So Lonely You Could Die” imagines a cross between the singer/songwriter-isms of Hunky Dory and the soulful Thin White Duke, while the drone dirge closer “Heat” references his challenging, minimalist work. Sure, these aren’t classics on the level of “Moonage Daydream,” “Heroes,” or “Life On Mars?” here, and a few of the tracks don’t live up to the others—namely “Boss Of Me” and the tepid “Valentine’s Day”—but even these are solidly constructed and never detract from the record’s flow. 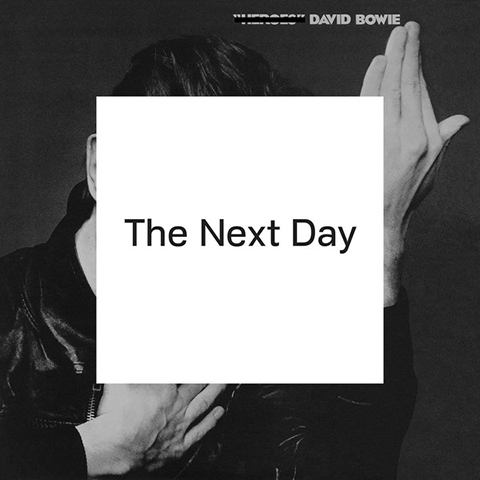 The Next Day is no groundbreaker, but it’s an often thrilling collection of rock songs and the most vital David Bowie has sounded in years. Tags: dancing out in space, david bowie, heroes, the next day, the stars (are out tonight), where are we now?